Offering you a complete choice of products which include Natural Limestone such as Jaisalmer Yellow Limestone, Yellow Polished Limestone, Kota Blue Limestone and Yellow Eta Polished Limestone. We are engaged in offering a wide range of Yellow Eta Polished Limestone, Yellow Limestone & Jaisalmer Yellow Limestone. These are available in various standard thickness and designs following the precise demands of clients. Our products are acclaimed for their designer look, elegance and alluring patterns. One can avail these in various styles and color combinations as per their requirements. Our products are offered at budget friendly prices. 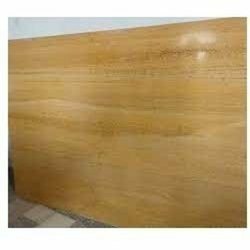 To meet the specific requirements of the valued customers, we are engaged in offering Yellow Polished Limestone. The offered Yellow Polished Limestone is highly appreciated by the esteemed customers for its long lasting shine. Besides, this Yellow Polished Limestone that we offer has high strength.